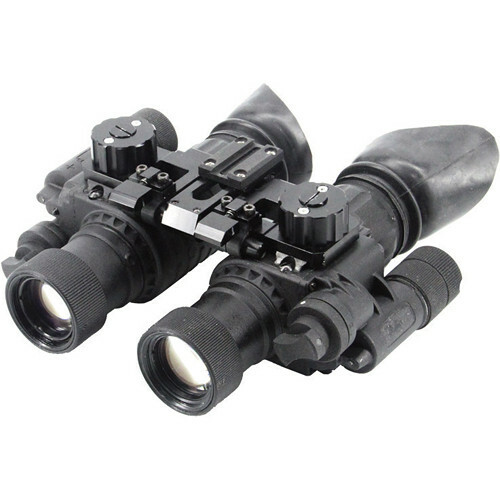 The Newcon Optik 1x Gen 3 Dual Tube Autogated Night Vision Binocular utilizes two advanced Gen 3 image intensifier tubes, with minimum, exportable FOM >1600, has a manual gain control system, built-in IR illuminator, auto shutoff mechanism and is fully MIL-SPEC. The NVS 15 provides users with full depth perception and is ideal for vehicle operation and any other dark environment task requiring acute situational awareness. The modular design of the NVS 15 allows for the detachment of the left or right eye device while the proprietary bridge mount provides for interpupillary and other fine adjustments. This monocular module in the NVS 15 can be handheld, weapon, head or helmet mounted. Dimensions 118 x 120 x 69mm / 4.64 x 4.72 x 2.71"